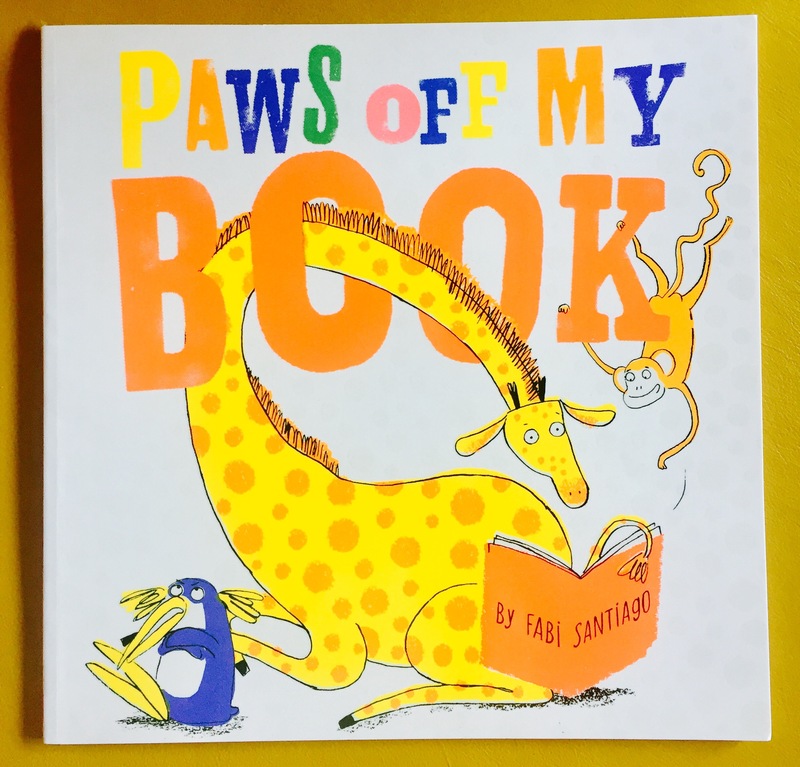 Paws Off My Book by Fabi Santiago is a joyous celebration of reading and finding your own way. With lots going on and gorgeous illustrations with bright fluorescent colours, this is a fab book for sharing and discussing. Olaf the giraffe is excited when he finds a book. He settles down to read it but is constantly interrupted by his friends who all know exactly how he should be reading – and try to tell him so. Frustrated, Olaf stomps off to read in peace. But then he has a good idea and soon the animals are all sharing the story together. Full of fun and humour, this is one that grown ups will enjoy sharing with little folk. 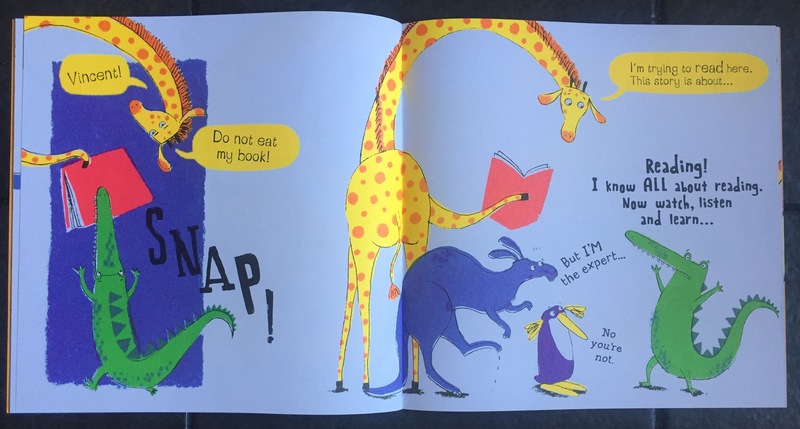 Poor Olaf is constantly interrupted by a whole host of different animals so there’s lots of scope here for some dramatic reading, comedy voices and maybe even a spot of stomping off in a huff. Paws Off My Book would be a great early years classroom book, perfect for a carpet time story session. I love the design, with images escaping the pages and blocks of colour. This would be a great book for class printing and drawing inspiration. Source – Kindly sent for review by Scholastic. Very cool! I wonder if the images glow in the dark.